Bulletproof Blues © 2010-2019 Brandon Blackmoor. Reference to other copyrighted material in no way constitutes a challenge to the respective copyright holders of that material. 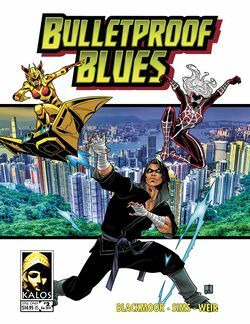 Bulletproof Blues is dual-licensed under the Creative Commons Attribution-ShareAlike 4.0 License (CC BY-SA 4.0) and the Open Game License, Version 1.0a. You are granted a license to copy, modify, and distribute Bulletproof Blues under whichever of these licenses best suits your needs. The following is designated as Product Identity, in accordance with Section 1(e) of the Open Game License, Version 1.0a: all images except for those under copyright to other parties or previously designated their Product Identity. The following text is Open Gaming Content, in accordance with Section 1(e) of the Open Game License, Version 1.0a: all text, other than text appearing in images. This page was last modified on 24 March 2019, at 13:16.